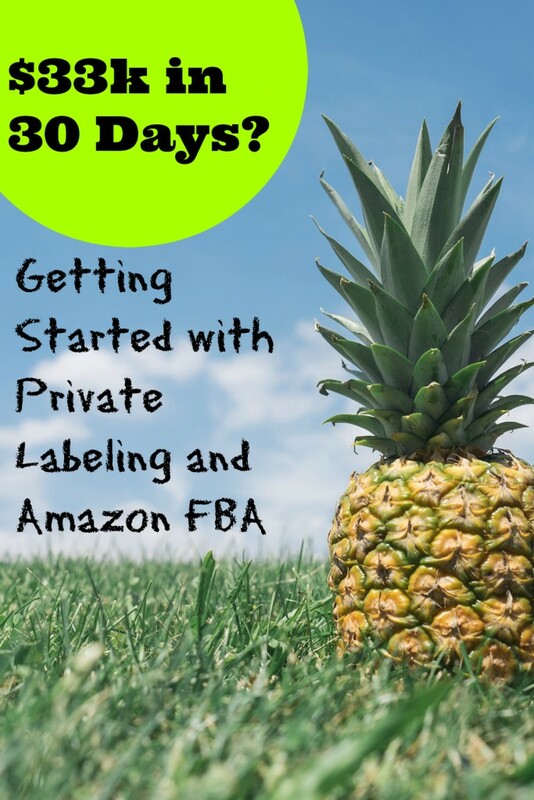 Note: Click here to download Andy’s top Amazon FBA private labeling tips. Selling on Amazon is one of the hottest side hustles around, and I’m not talking about selling books! In this show, we’ll dive into sourcing and selling your own physical products on Amazon by finding what’s hot in the marketplace, making smart purchases, and out-marketing the competition. I’m joined by Andy Slamans, an Amazon seller who turned his online side hustle into a full-time business this May, and expects to finish the year with over $400,000 in top line revenue. (And $33k in 30 days and over $5k in one day on Cyber Monday!) Incredible! Thanks to Maggie Cuson for the introduction! On the call we take a deep dive into some best practices and tactics to set yourself for Amazon success. In fact, the episode runs a little longer than normal because there’s so much to cover. This is a completely different animal from the retail arbitrage FBA business we’ve discussed before, and doesn’t involve going to the store and scanning dozens of items hoping to find a mismatch opportunity. Click here to download Andy’s top tips on private labeling with Amazon FBA. How private labeling works and how Amazon makes it easy to participate. How to identify profitable products on Amazon. The types of products and metrics to look for. The “3x Rule” for pricing and profitability. How to screen for reputable suppliers on Alibaba. Andy’s negotiation tip for dealing with Chinese manufacturers. The time he made a bad buy and how you can avoid the same mistake. Best practices to set up your Amazon product listing page. How to generate some initial sales and reviews for your products. Andy’s #1 tip for Side Hustle Nation. Pretty fascinating business, right? What do you think — viable side hustle? Enjoyed the podcast! Was wondering when you purchase these products to private label are they coming with a UPC or some sort of bar code that would satisfy the requirement for Amazon? Hi Heather! When you purchase the items, they may or may not come with a UPC. UPC codes can be purchased on eBay and used to create the listing on Amazon. There are a number of reputable sellers on eBay that offer the UPC codes. They are just needed for the listing on Amazon. When you put together a shipment, you’ll use a separate Amazon label for your item. Hi maggi…. Do you mind if I can ask you few questions via email…I am really trying to start doing private labeling…..it would be very much helpful, if u can clear me on some questions….. I just had one question re: the onion goggles example. Looking at the product page, it says that it’s made by RSVP, but “sold by” MetaRetail. There are also numerous other sellers in the buyer’s box to the lower right hand side. My question is: I thought the point of private labeling was that it was a branded product, so that ONLY YOU could sell it? How are there numerous other sellers that are able to sell a private label product? Shouldn’t only the private label seller — RSVP — be able to sell this? If you look at the other products by RSVP (click on it) that are available on amazon, you can see that most of their items have many sellers. In this case RSVP makes their own branded products, and then sells them wholesale to others, some of whom resell it on Amazon. They simply have a different business model than someone who does private label and then sells that item themselves. Mike – I’m pretty sure they were using the RSVP onion goggles as an example of products to look at that are already selling and that you could produce, private label and sell yourself. I don’t think they meant that this particular product was an example of somebody else who is private labeling. Thanks for this interview Nick! As you know – I’ve been researching this topic quite a bit lately and picking up every free source of information I can find on private labeling products to sell on Amazon. Even seeing some decent success with our retail arbitrage side hustle via FBA. I definitely picked up a few tidbits in this interview that I had not heard or read before. So thanks again! I’m getting really stoked to pull the trigger on actually private labeling something. Good to hear Matthew! It can be a very rewarding experience!! . So thrilled to have stumbled across this. I’ve learned more from this podcast than hours spent in research. Thanks for doing the interview Nick! You bet — thought you’d like this one! Wow! Really enjoyed this! Been wanting to sell products on amazon for a while but not known how or where to get started! Will have to listen again to take it all in! Thanks Nick and Andy! Very informative interview Nick. Thanks you. Just one question I have is that before private labeling a product, how does one ensure that there is no infringement of patent or intellectual property rights? Are there any tools or sites that let you know that? This information is so timely, my daughter just started doing FBA and has already made a few sales. I sent her the link for this episode because we were literally talking about private labeling a few days ago She is waiting on some samples of items she ordered using Alibaba and I am waiting for some makeup sample for my airbrush makeup videos (getting those here in the States, didn’t want to take any chances). Your info always seems to show up at just the right time for what we are doing. Glad Mike sent me your info! GL, you can check the government patent site and have a reasonable idea. The only way to be positive is to hire a patent laeyer. Most don’t though. Confused about one thing. I can see how to find the top 100 sellers. And I can see how to know the total sellers (ie; 10, 692, etc…). but how do I see the sellers at a specific rank beyond 100 (ie; 3,650th, etc…)? the interesting thing is I am getting ideas on what to private label from my amazon niche sites……but with obviously higher margins! Great podcasts. I was wondering does each private label product have to be incorporated as a separate business or LLC. We recently started private labeling a line of products in the beauty category and we did file for an LLC but we plan on adding several other private label brands and it seems that it would be costly to do. Hey Daniela! Glad that you’re starting the private label journey – it’s a rewarding one..=) I have an LLC, and all my brands fall under that coverage through my business. If you really wanted to, you could certainly open an LLC for each brand, but not necessary. Make sure your business insurance covers you for the private labeling as well. Good luck! Have you ever had your products reviewed for Hazmat? If so, what is the work around. I’m sending in a private label cloth, laptop case which is not hazordous but Amazon has flagged my product. Great podcast and awesome tips. Andy is a great guy and super nice (and he has a great story). I’ve been moving into private label and, while it’s not as fast as retail arbitrage to get things going, it’s been a great experience so far and provides a lot more security. Great stuff and anyone looking to move into private label needs to listen to this episode. Super Awesome show!!! I learned soooo much. I started my business with way too small of an investment but it was all the money I had. Can’t wait to get more money so I can do things the right way. I am interested in private label/FBA. I have not done any amazon selling yet. I have been trying to learn how to get things started. How do I private lable hand made Items? will Amazon give me a UPC? It’s pretty confusing. I have custom mugs, glass products, license plates, etc.. But I have no idea how to list. I’ve paid for Amazon seller account for 3 months so far and am no closer to selling 1 item :/ I’ve attended a Rip-Off “Amazon Riches” seminar and am out $1000 for basically, a sale’s pitch for an “Amazon Riches Camp” which would have cost an additional $15,000! Anyone, Please help! Check out the podcast “The Amazing Seller” at http://theamazingseller.com/category/podcast/. You’ll learn most of what you need for free. Is there anyway I can get moving on this IMMEDIATELY?? Black Friday is in a week! I think it would definitely be tough to get anything imported by next Friday, but the good news is ecommerce continues to explode in December and beyond! Hi, I was wondering if I need to do any legal paperwork, such as a DBA, or LLC, corporation…also, do I need insurance? I need to factor in these costs! Thanks! Great information here, I’ll definitely take some of these points into my bag of tricks. I sale cosmetic products and I am doing very well. 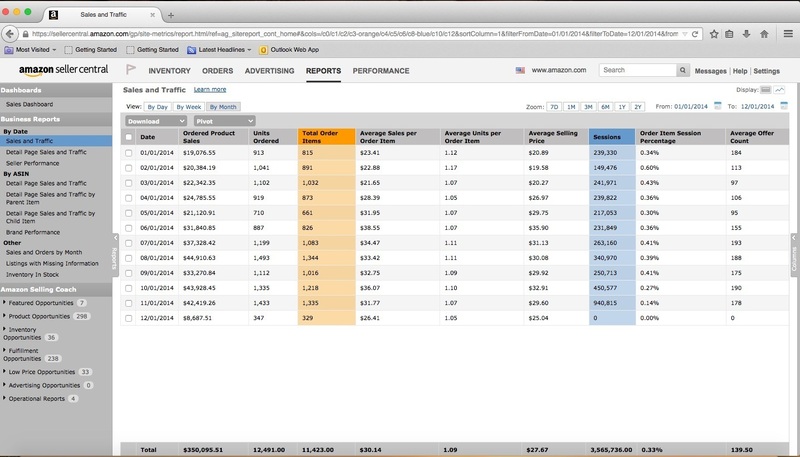 I’ve learned how to profitably master Amazon’s PPC. Anyone looking to start a supplement or cosmetic line I highly recommend http://www.privatelabelkings.com. They offered the best pricing and even gave me tips on PPC and did some sweet 3D images for me. Hope this helps someone just starting out, good luck! We are Amazon Sellers Lawyer. We help sellers who have been suspended, banned, have IP complaints etc. Please check us out at http://www.amazonsellerslawyer.com. Id like to see if we can add our lead attorney as a speaker at a show, a pod cast or if you would like to publish any of our available articles. It may be an older podcast, but still very good information and a lot of great resources here! We’ve developed a site to help bring buyers and sellers together so they can try new products. For those of you planning to launch private-label and would like more exposure and honest feedback, please check us out! Amazing what can be found via Pintrest – like this awesome post! I knew people sold items on Amazon just never knew how. This is really something that looks interesting and a great way to make some side money (hubby should be retired but I haven’t been able to find a job). I really think I am going to scout around some local stores for some bargains to get started. Thank You! Whether sellers sell on Amazon or any side hustle marketing platform..it’s the [side hustle millionaire] mindset & consistency that’s gonna separate the wannabes from the do-gooders.